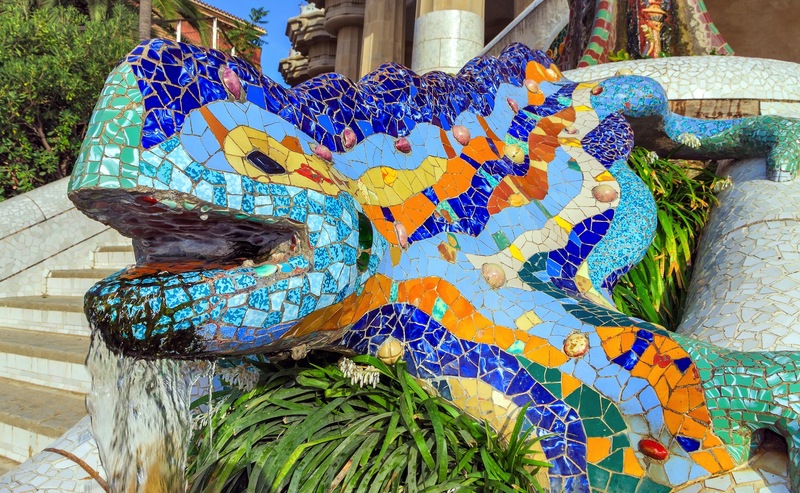 1) Tour the works made of sculptures and mosaics by the famous modernist architect Antoni Gaudi: the Park Guell, the Sagrada Familia, Casa Batllo, Casa Mila and Casa Vicens. 2) Taste the traditional aperitivo accompanied by pintxos, these delicious single tapas made from creative combinations such as salmon-avocado, cheese-ham, peppers-tuna-olives, tortilla, croquettas… You will certainly find something to accompany your glass of wine or sangria. 3) Visit one of the art exhibitions in the city. 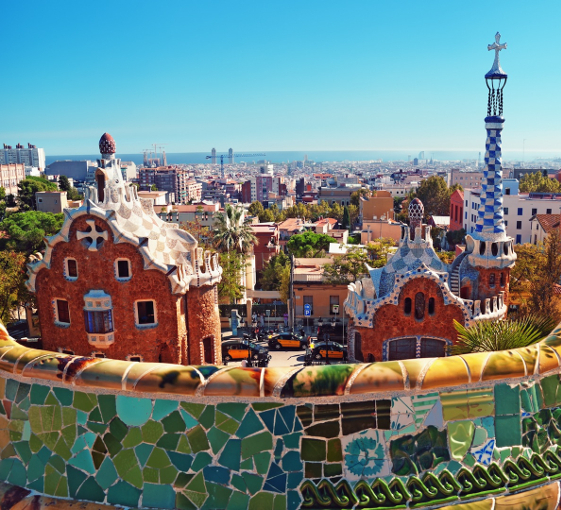 Barcelona is a cultural hub with its many museums and galleries free to the public. Amongst others the Palau Robert (on Paseo de Gracia), the Virreina Palace (La Rambla) and the MACBA (in the Raval). 4) For lunch or dinner, avoid La Rambla and its surroundings, and go to some more authentic places (Raval, Eixample, Gracia) where you will find local quality food at a fair price. Among the specialties, there are sausages, cheese, meatballs (Boles of picolat) the tomato bread (Pa amb tomàquet), the Octopus, the Fideuada (Paella with pasta) and the Catalan cream. 5 ) Venture into one of the many markets in Barcelona, real symbols of the Catalan culture… Food markets (like the famous market Boqueria on La Rambla), flea markets, books markets (such as San Antonio), antique markets… There is a different one every day in every corner of the city. 6) Visit Montjuic a haven on a green hill above Barcelona. 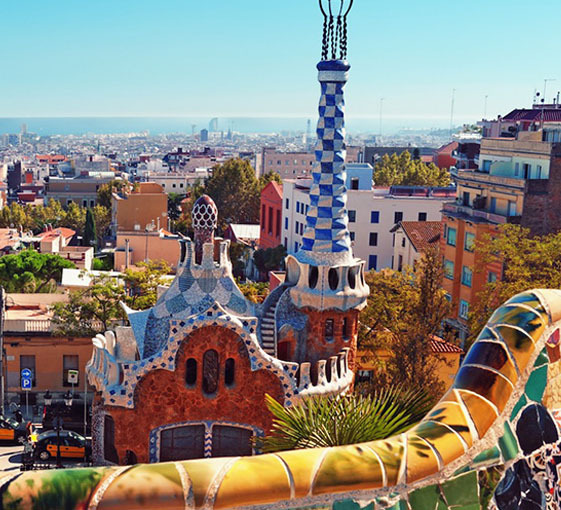 Located 5 minutes away from Barceloneta via a small cable car (for the lazy or for those wishing to enjoy a breathtaking view of the city), Montjuc is also reachable from the beautiful Plaça d’Espanya first leading to the museum of Contemporary art and passing by the Olympic park to the Castle atop the hill. A lovely walk through some beautiful gardens with fountains, the Joan Miro Foundation and the Botanical garden (once you reach the top, you can take a bus or a taxi back). 7) Walk into the district of Barceloneta and relax with a drink in one of Chiringuitos (small cabins installed in the sand during the summer) to the beach before enjoying a swim. The narrow alleys of the neighborhood are full of typical old bars where you can listen at local guitar players. 9) Eat chocolate! For breakfast or as a snack, taste the famous Chocolate con Churros, these delicious donuts along with real hot chocolate so thick that you do not end up… The best of Barcelona are the Gothic Quarter. And for food lovers, do not miss the Chocolate Museum which tells the story of this brown gold in Barcelona. You will also enjoy the many chocolatiers (some of them are real legends such as Amatller created in 1797!) in the city. Learn more with our article about the Chocolate in Barcelona. 10) Visit Tibidabo, the highest point of Barcelona topped with a majestic cathedral and also an amusement park. To get there, take the Tramvia blau, the oldest tram in Barcelona.